Turn your guitar into so much more, with individually adjustable octave up, octave down and 5th up enhancement. Classic octave doubling is cool, but throwing in a 5th up and giving all 3 modulated sounds their own volume control opens up a whole new world. Sound like a 12-string. Sound like an organ. Get rid of your dry signal and sound like a synth just owning that lonely heart. 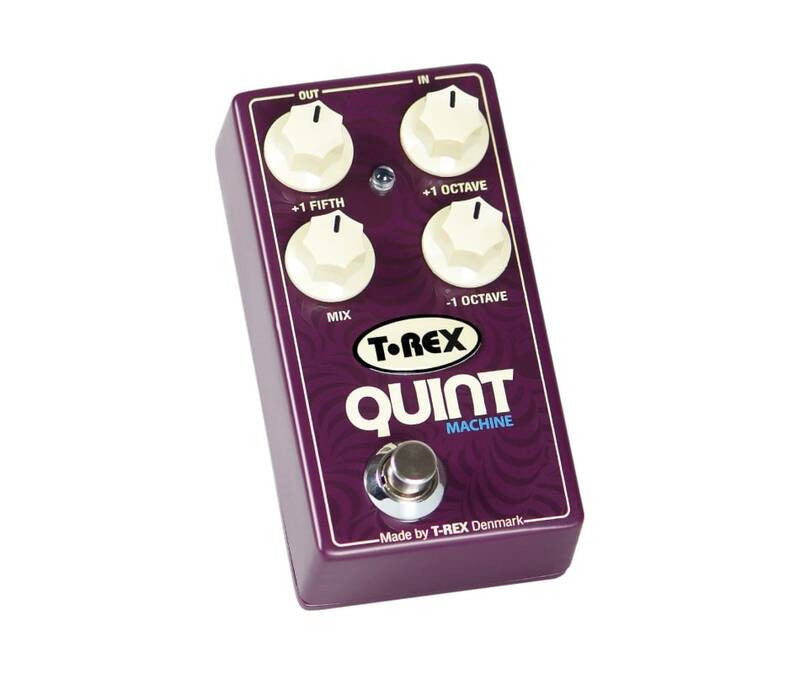 T-Rex built the Quint Machine to give you more, and it will keep you discovering new sounds for years.